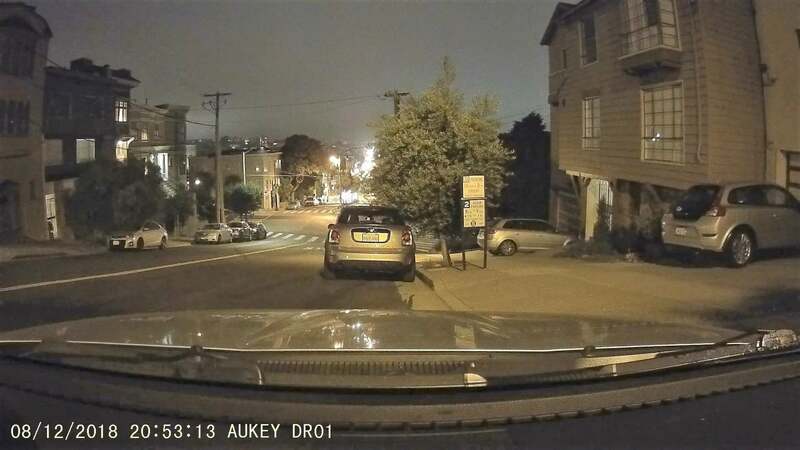 Aukey DR01 Dash Cam review: Great video on the cheap, but where's the claimed supercapacitor? Testing revealed that despite specific mention of a supercapacitor on the DR01’s Amazon product page, the camera quit immediately when power was removed. 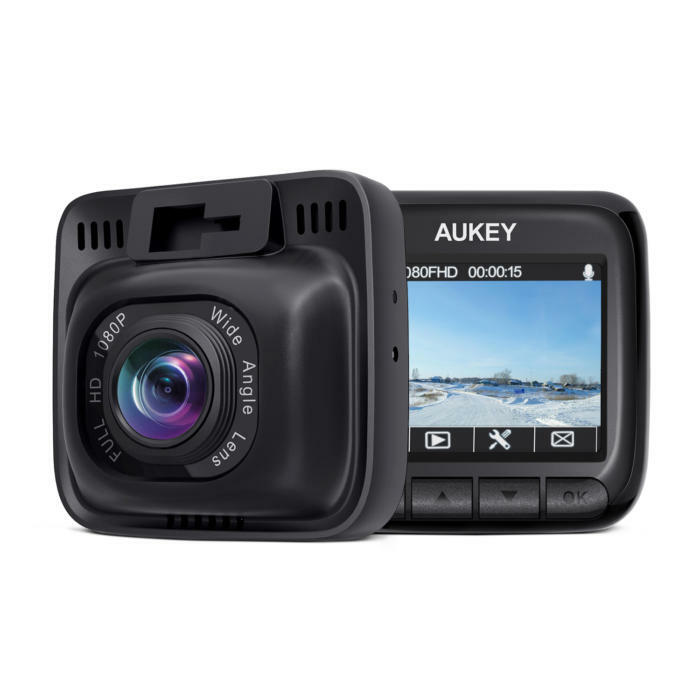 When I queried Aukey about this, the reply was “This dash cam only works with continuous power supply.” That’s a roundabout way of saying the camera does not have the supercapacitor. A supercapacitor is a handy thing to have on a dash cam in case of power loss. Aukey's Amazon listing for the DR01 Dash Cam claims there is a supercapacitor on this product, but that's not true—and Aukey seems in no hurry to correct this error. Buyer beware. Not having a battery or supercapacitor is an issue, as loss of 12-volt power in accidents does happen. Intimating in your advertising that your camera will continue recording after power loss, when it most decidedly will not, is decidedly uncool. If you’re still interested, read on. Note: I suggested to Aukey that they amend this claim before this article was published. As of this time, they have not, and the product page was closed to reviews. If and when Aukey changes its Amazon listing, I’ll amend this article. The DR01 doesn’t look like much out of the box, just your standard box-shaped dash cam with a mini USB power/connection cable, and two-port USB cigarette lighter (aux for newer cars) adapter. 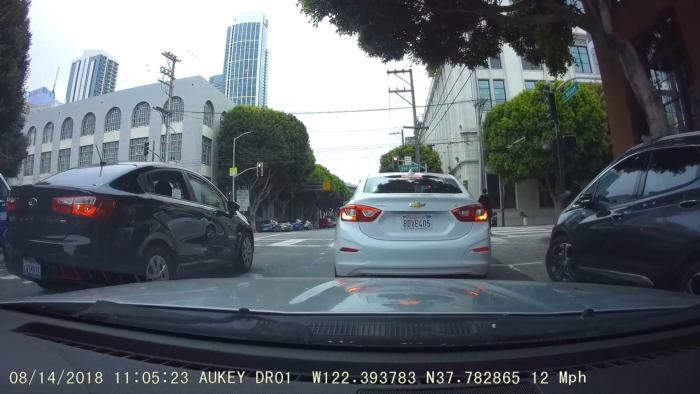 But as you’re ostensibly hiding whatever dash cam you buy (with a few exceptions) behind the rear view mirror for legal purposes, futuristic design, though nice, doesn’t mean all that much. Beside, it’s the camera that counts, and the DR01 does very well in that regard. The Aukey may not look like much, but it’s on point with both its daytime and nighttime captures, and it’s easy to use. According to Aukey, said camera offers a 170-degree field of view, which will capture more action to the sides than the more typical 140 degrees. Sometimes the wider angle results in a fish-eye effect on images, but it's minimal on this device. The DR01 uses a Sony Exmor IMX323 sensor. Given the proper processing, it delivers very nice day and night video. Aukey includes both suction and semi-permanent sticky mounts, along with some sticky-tape cable raceway clips and some extra double-sided tape for the future. With two mounts, you can easily remove the camera from the semi-permanent mount in your main ride and use it with the suction mount on your weekend vehicle, rental, etc. The DR01 measures about 2.2 inches square by a little over an inch deep and sports a sharp 2-inch color LCD. The unit is configured and controlled using four buttons facing you near the bottom of the camera. The functions of the buttons change somewhat according to what you’re doing (driving, performing setup, etc.) and are denoted by icons on the display directly above them. On top of the unit are an AV output and a GPS link port. Optional GPS antenna. Ignore the red question mark on the DR01’s display, and wait about four minutes before you send it back—it sometimes takes that long to initiate. I didn’t leave a lot of mystery about the DR01’s capture performance with my declaration up top. It’s really, really good. Sony’s Exmor sensors, like the one used in the DR01, pick up the details nicely during the day, as well as at night. Enough with the words, just take a look at the images below. Note that it was a very gray day here in San Francisco during the day capture. The DR01’s daytime captures are excellent. You don’t need anything more than 1080p if you have a good sensor and optics. Note that the GPS is watermarked. However, on several occasions the GPS didn’t show up right away, taking a good three or four minutes to initialize. I’ve included two video snapshots to show the DR01’s night captures in low-light city conditions. The second is edited to show the amount of detail that’s actually captured. Brightened or no, it’s very good night video—far superior to what older budget dash cams have produced. The Audkey DR01’s night video is very good, but there’s detail present that even this unaltered screen shot reveals. The image below was edited post facto to bring out more detail. Trust me, it’s not nearly that light in this location, though there are street lamps. Brighten the image, and you can see that the Sony Exmor sensor does an excellent job of capturing detail in low light situations. The motion sensing and variable G-sensor worked well at the default settings, with the latter setting off only once, when I hit a particularly sharp bump. Just right. 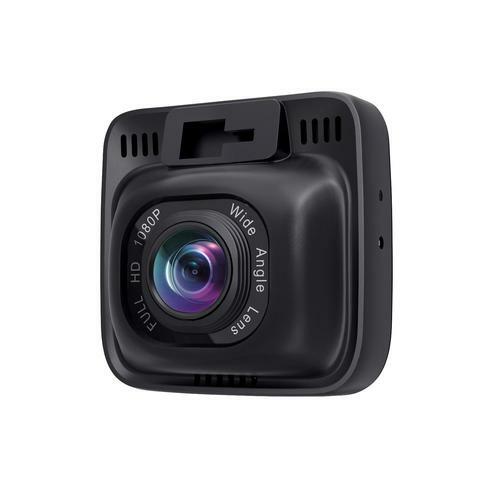 There are two things that stop the DR01 from being the perfect budget dash cam. The first is that the optional $20 GPS unit sometimes takes several minutes to initialize. However, I'm still glad it's there, given that a number of cameras I’ve seen recently don't even bother with this lawsuit-saving feature. The other, more serious issue is that, as discussed up top, DR01 will shut off immediately when power is removed. This can happen in an accident if the battery or power cables are damaged, or if the source you're using is on a relay. Hence, you want your dash cam to film at least a few seconds on its own power (battery or supercapacitor) so you can capture post-incident events. 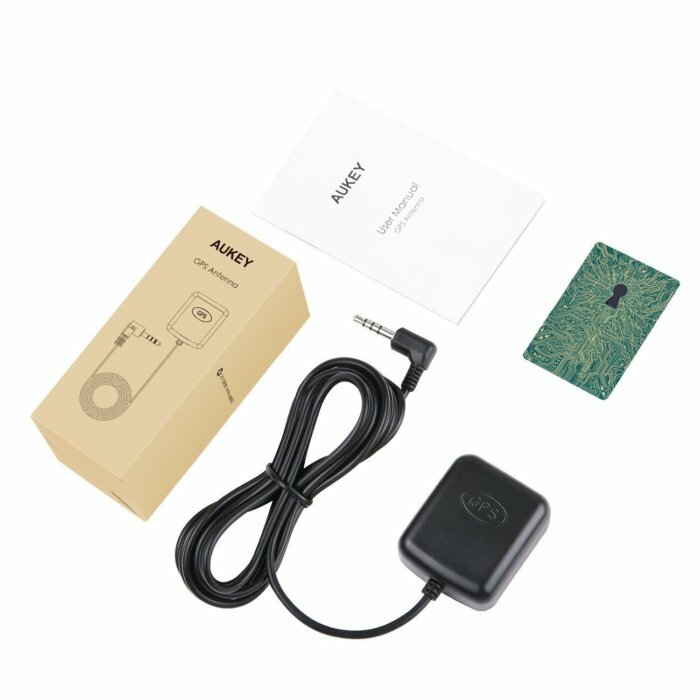 Aukey’s Amazon product page for the DR01 talks about a supercapacitor—testing says there isn’t one. 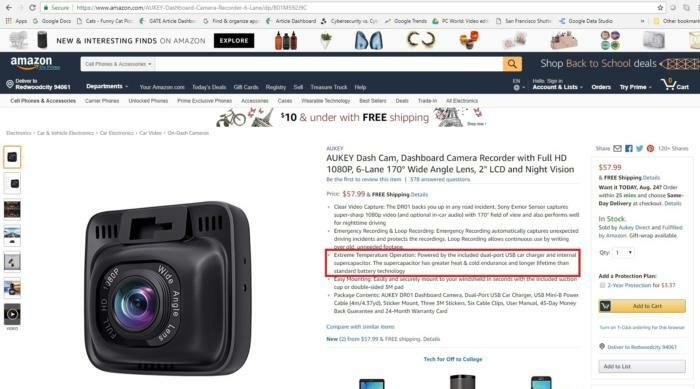 However, 12-volt issue aside, I can’t recommend a dash cam that’s being sold as something it’s not, no matter how innocent the reasons. The response from Aukey to my suggestion that they change the DR01 product info was, “we apologize for the confusion caused. ...deliver your invaluable suggestions to our copywriters and keep optimizing our listing.” That was almost two weeks ago, and the listing is still inaccurate. If you already bought a DR01 thinking it had the ability to record in case of power failure—sorry, it doesn’t. Aukey claims there’s a 24-month warranty. Whether that covers false advertising, I can’t tell you. It does take darn nice video.